“Rocky Horror” follows sweethearts Janet (Justice) and Brad (McCartan) who stumble upon Frank-N-Furter’s (Cox) bizarre abode. 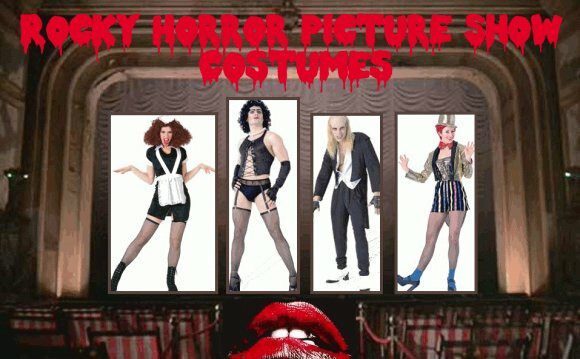 With the help of his faithful servants Riff Raff (Carney) and Magenta (yet to be cast), Frank-N-Furter, is holding an annual Transylvanian science convention to showcase the birth of “Rocky Horror” (Nair), a fit, attractive man created solely to fulfill Frank’s desires. Lambert will play Eddie, who is described as the rock-n-roll loving ex-delivery boy who emerges at Dr. Frank-N-Further’s on a motorcycle and crashes the party. Known for his eccentric, goth appearance and impressive pipes, Lambert competed in the eighth season of “Idol.” Though he didn’t win, he has gone onto a successful career as a musician with three studio albums and hits, including his recent single “Ghost Town.” Since 2011, the pop/electric rocker has been collaborating with Queen as lead vocalist. A reimagining of the cult classic, which still plays in theaters, after its recent 40 year anniversary, Fox’s “Rocky Horror” special hails from Fox 21 Television Studios and Gail Berman’s Jackal Group. Lou Adler and Gail Berman will serve as exec producers with Kenny Ortega who will also direct and choreograph.